Following a 2016 hiatus, the Foo Fighters opened the New Year with a guest appearance at the MusiCares Person Of The Year evening honoring Tom Petty in Los Angeles in early February; the fundraising event also saw performances by a wide-ranging list of artists including Randy Newman, George Strait, Jackson Browne, Stevie Nicks, Jeff Lynne and Don Henley, among others. As May arrived, the Foos began performing more shows, including a headline-making appearance at the Bottlerock Festival in Napa Valley, CA that saw the band continue to play their final song of the evening even after organizers pulled the plug on power due to a strict 10 p.m. local curfew. 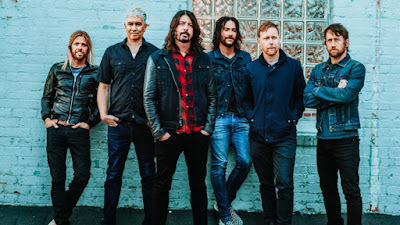 On June 1, the Foos dropped a video for a new single, “Run”, without notice, serving as the first preview of their forthcoming ninth album, “Concrete And Gold”, which would arrive in September. The group debuted songs from the project during shows on a European tour that ended with a July 10 performance at the Odeio Herodou Attikou in Athens, Greece that was filmed for a fall broadcast of the PBS series “Landmarks Live In Concert”, hosted by Red Hot Chili Peppers drummer Chad Smith. 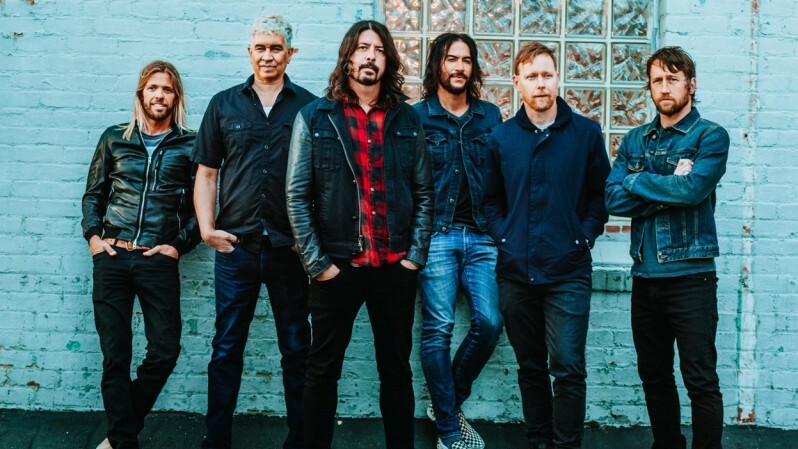 The week of the release of “Concrete And Gold” saw the Foo Fighters appear on the latest installment of the "Carpool Karaoke" series on CBS-TV’s The Late Late Show with James Corden. Following the album’s debut at No. 1 on the US Billboard 200, the Foo Fighters launched the record with a fall US tour that began with their own Cal Jam 17 festival at Glen Helen Regional Park in San Bernardino, CA on October 7. Dave Grohl hosted ABC-TV’s Jimmy Kimmel Live on Halloween as part of week of guests filling in for the show’s namesake as he prepared his infant son for the second in a series of heart surgeries to correct a rare congenital heart defect. In the spirit of the evening, Grohl emceed the program dressed as his favorite late night host, David Letterman, before he and the Foo Fighters – in full costumes themselves – joined Alice Cooper for an intense live performance. Grohl joined Guns N’ Roses for their 1988 hit, “Paradise City”, at the BOK Center in Tulsa, OK, TX on November 14. Following the passing of AC/DC guitarist and co-founder Malcolm Young on November 18, the Foos paid tribute to the late rock legend during their concert that day at the Corona Capitol Festival in Mexico City, Mexico. Last month, the group’s single, “Run”, earned the band a pair of nominations for the upcoming 60th annual Grammy Awards, with nods in both the “Best Rock Song” and “Best Rock Performance” categories. On December 5, Grohl and fellow Foo Pat Smear reunited with former Nirvana bandmate Krist Novoselic for a one-song performance during a show in Eugene, OR. The Foos will wrap up 2017 with a sold-out New Year’s Eve date at The Chelsea at The Cosmopolitan in Las Vegas, NV on December 31.